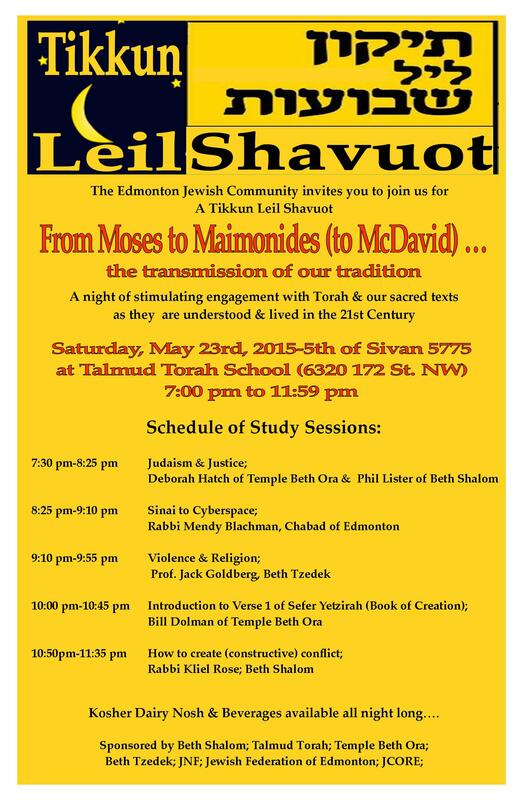 Tikkun Leil Shavuot 5775 | Temple Beth Ora Synagogue of Edmonton - Refresh Your Nefesh! There will be a variety of sessions taking place all on topics important to modern Judaism, and all led by prominent leaders in our community. Kosher dairy snacks and beverages will be available all night as well. For specific topics of sessions and leaders please see the poster in this article.